Mercedes-Benz hears your cries that the G-Class hasn’t changed in decades and wants this installation at the North American International Auto Show in Detroit, Michigan to drive that point home. 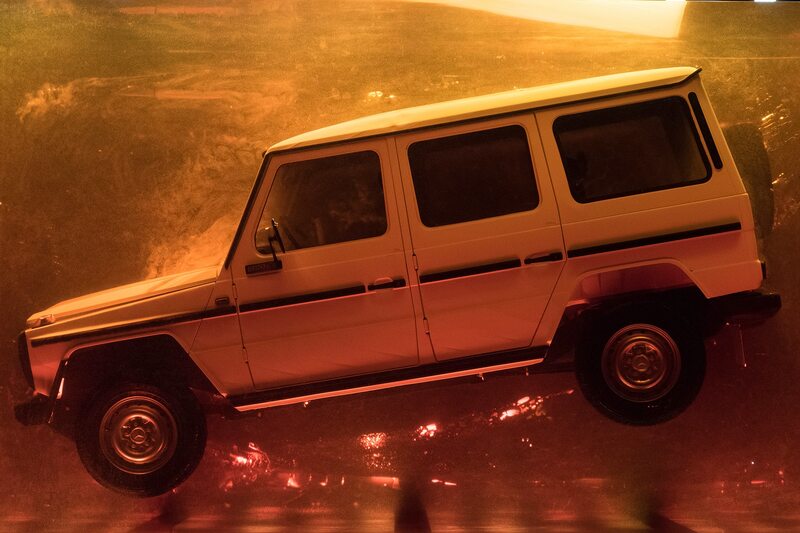 The stunt, which makes a deliberate nod to “Jurassic Park” and real-life dinosaur and insect fossilization, is intended to speak to the unchanging DNA of the G-Class line even as a new generation is about to be revealed. The piece is composed of a 1979 280 GE angled nose down suspended in 44.4 tons of amber-colored synthetic resin. The casting process was a 90-day endeavor and is the largest installation of its type. Dr. Gunnar Güthenke, Head of the Off-Road Vehicle said in a statement that the project speaks to the nature of the G-Class as a product. “Our cult off-road vehicle has been continuously evolving for nearly 40 years—without losing its character or its core values,” Güthenke said. It’s hard to argue with that statement when the same shape maintained strong sales for almost four decades. In its statement, Mercedes-Benz also claims the G-Wagon’s slanted position is an acknowledgement of its off-roading heritage and abilities. Keep an eye out on our Instagram account (our handle is @automobilemag) and we’ll snap a few photos of the fossilized 280 GE at the Cobo Center in Detroit. The newest G-Class officially makes its debut on January 14, 2018 at the NAIAS.